Its sales and profits are surging. Traffic to its stores, an important indicator of the health of the business, grew 5.9 percent in the last quarter, the fastest clip in at least a decade. Costco members — whose annual fees make the company profitable — remain fiercely loyal, renewing at a rate of 87 percent even after fees were raised. The Issaquah-based company continues to build. It remains on pace to open 20 to 25 new stores a year, and is establishing toeholds in new international markets, including its first store in China, now under construction in Shanghai and scheduled to open in April 2019. Meanwhile, Sam’s Club — Walmart’s wholesale club, once viewed as Costco’s principal rival — announced last month it’s closing 63 stores. Costco’s stock has reached new highs in recent days, closing Thursday at $193.47. 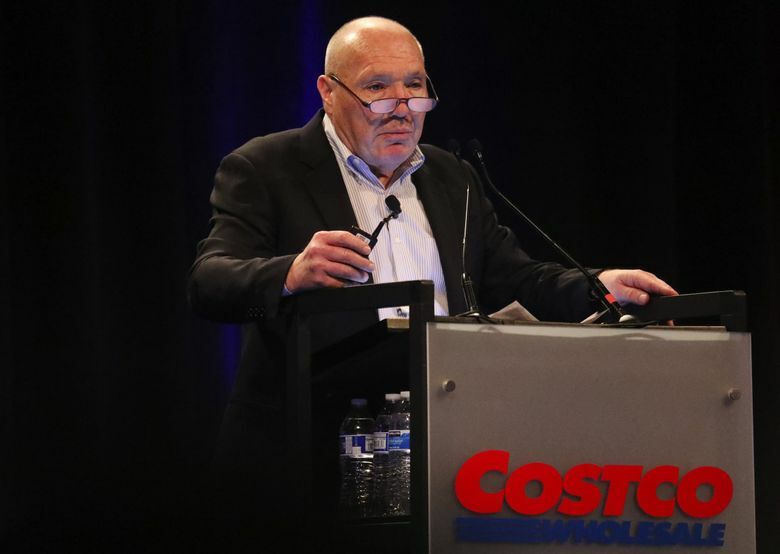 After hearing about Costco’s performance and prospects from CEO Craig Jelinek at the company’s annual shareholders’ meeting in Bellevue this week, at least a few people in the decidedly gray-haired crowd had big questions about the future. How will the world’s second-largest retailer adapt to changing shopping habits and appeal to a younger generation, and what is the company doing to contend with online sellers, such as Amazon, now viewed by some as Costco’s chief competition? Jelinek — who also took questions from an octogenarian who struggled to find his car in Costco’s vast lots, and others having trouble lifting large quantities of bottled water and kitty litter — addressed them head on. That said, they’ve yet to become Costco’s best customers. The company is making moves to better cater to shoppers whose expectations about retail were formed in the time of Amazon. But in doing so, Costco wants to preserve the “treasure hunt” aspect of its main cash-and-carry business that has been fundamental to its success. While the physical stores remain the company’s focus, Costco is expanding its home-delivery options. In doing so, it’s leveraging its 17 Business Centers — stores geared toward small-business owners, with merchandise in even larger lots than the consumer-focused warehouse stores — as fulfillment centers for two-day home delivery of nonperishable items. “This has started out much stronger than we anticipated, and we’re going to continue to grow this business,” Jelinek said. “There’s a method to this madness,” Jelinek said.